California means beaches. Most tourists already know that. Most tourists soon discover that California also means butterflies. If visitors are attentive to detail, they can easily discover the full California butterflies story in a couple of days hiking..
For example, consider the state’s tree largest metropolitan areas. Recent surveys in San Francisco (just the city limits) find thirty five different species. Further south the butterfly checklist for Los Angeles county has about one hundred different species listed (not counting the Skippers). San Diego County also lists approximately one hundred butterfly species. The statement the California means butterflies is no exaggeration. California butterfly identification starts by identifying wing color. This introduction to California butterflies lists the species and divides them to family. Space limitations mean only a few butterfly pictures can be added. Visitors seeking additional butterfly pictures and identification help can press the green butterfly button for more information. The balance between the number of white butterfly species and yellow butterfly species in California speaks loudly for butterfly diversity in the state. Typically states have more of one than the other. The multiple Orangetip and Marble butterfly species under the Whites listing explains most of the diversity in the category. 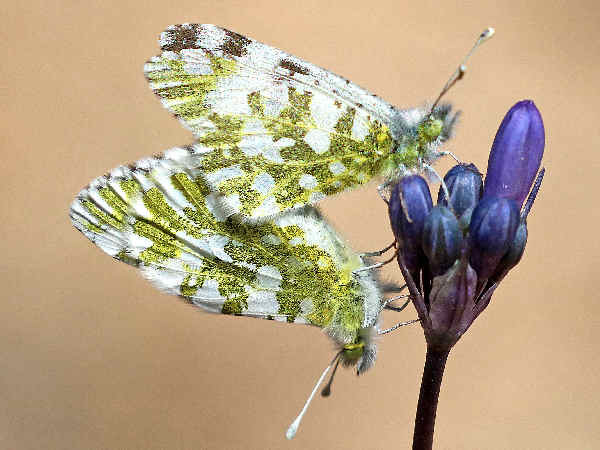 The picture shows a pair of California Marble butterflies. They are fairly common up and down the state because the larvae feed on the also very common mustard plants. California’s yellow butterfly species pretty much match up with the butterfly species of most Southwestern states. While the state does not have an official state butterfly, the Southern Dogface is designated as the official state insect. California butterflies also dazzle when it comes to the gossamer-wing category. Tourists will be greatly rewarded by keeping their eyes down, looking for these small butterflies on flowers and plants. Over six dozen species have been documented up and down the state, and from the coastal areas to the Sierra Nevada Mountains. Butterfly diversity is weakest in the valley regions between the coast and mountains, along with the large metropolitan areas, primarily because of human encroachment on their territory. However, many gardens in these areas do support a few of the species. 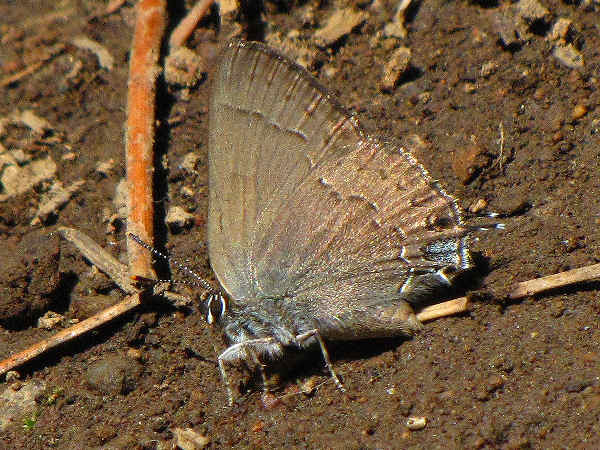 The picture shows a California Hairstreak. Almost all visitors to the Golden State can easily photography at least a dozen Brush Footed butterflies during their state. These are the larger butterflis, often with orange color wings that visit the flowers of gardens around hotels, parks and residential areas in the cities. 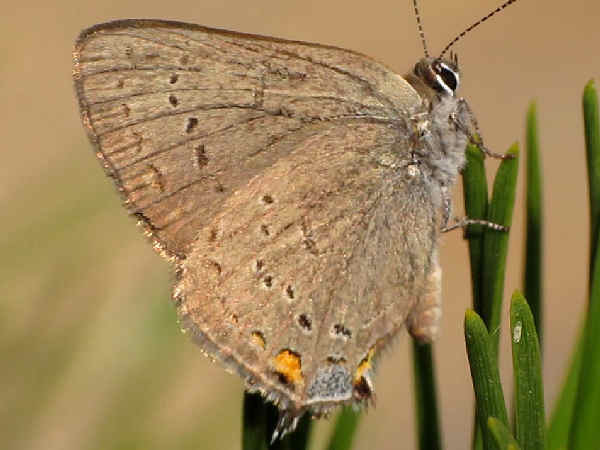 With almost six dozen different Brush Footed Butterflies documented in California, any visitor can capture a phone filled with butterfly pictures by traveling a short distance and taking a hike in some of the still undeveloped areas of the state. 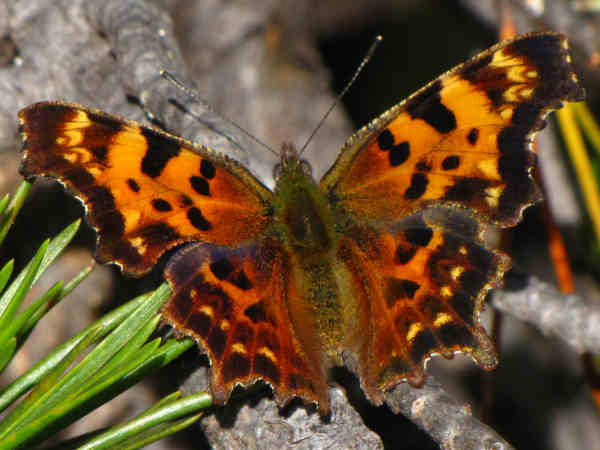 The picture shows a Green Comma butterfly. The presence of both Parnassian and Swallowtail butterflies also attests to the state’s wonderful butterfly diversity. The two Parnassian species are only found in the mountain areas. 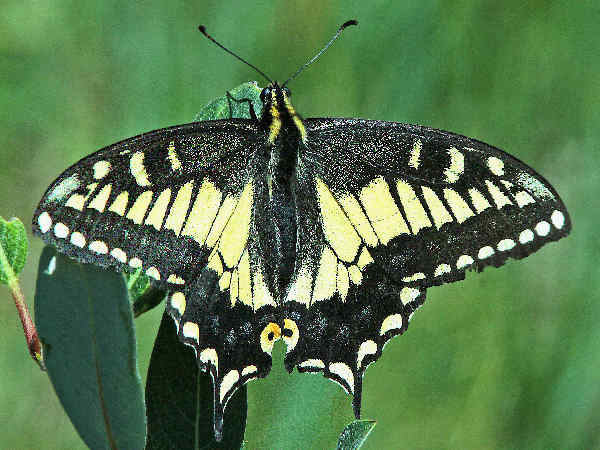 Visitors will be greeted by multiple swallowtail species even in the larger urban environments. 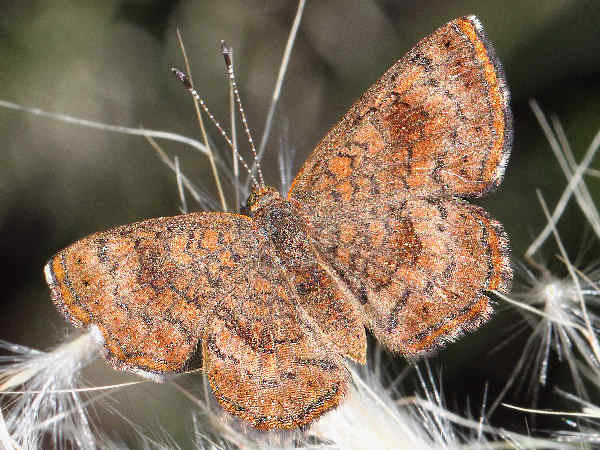 While they do not count any of the more colorful and flashy looking Metalmarks as part of the California butterflies tradition, the state does host a healthy five different species. The picture shows a Fatal Metalmark.